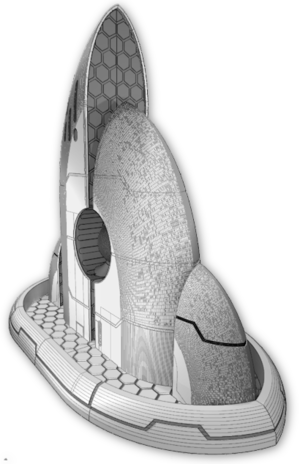 Not exactly wargaming terrain, this one... but definitely something to make your tabletop look awesome!! The newest design for our samurai range is this Samurai Measuring Sword, which is a 9 inch ruler designed for short range movement in a variety of games such as Test of Honour, Bushido and Ronin. ▲ The blade is divided into single inches on the cutting edge of the sword, and also on the back edge too, for the 6 inches from tip to tsuba handguard. The hilt then gives another 3 inches for faster-moving units. 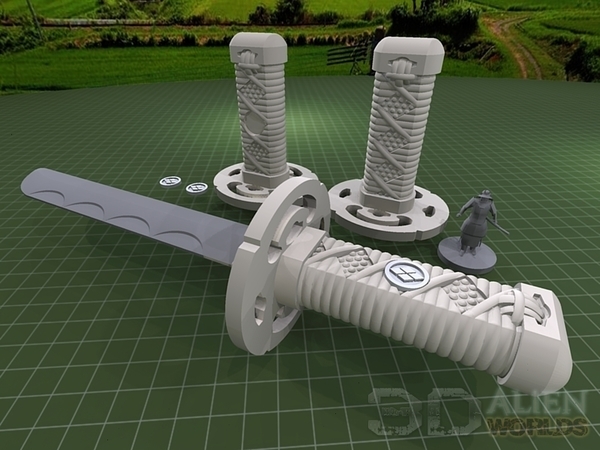 ▲ Two versions of the hilt are supplied, one fully detailed, and one with mounting points for clan symbols. 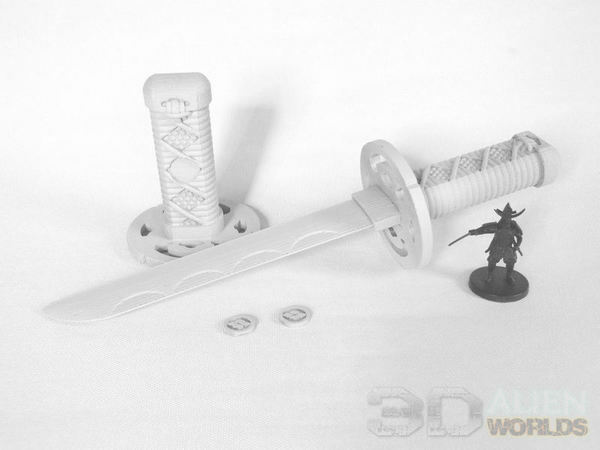 You can combine this with the Samurai Clan Symbols set to personalize your sword with your own choice of clan symbol. The Takeda Clan symbol (pictured) is included in the set. ▲ The first of four (yes, 4!) swords we printed for our gaming group here, for our games of Test of Honour. 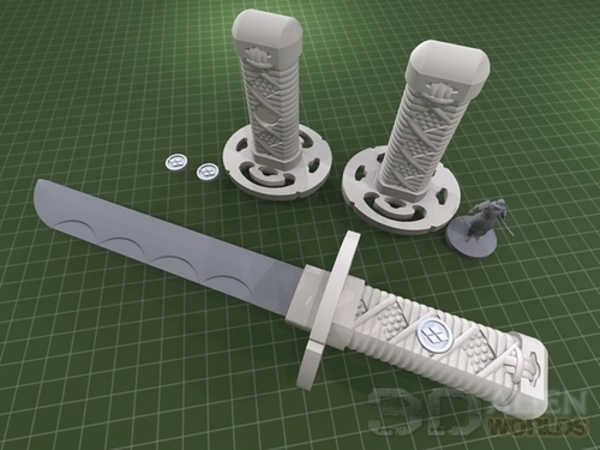 We're printing one 'blank' hilt for the ninja force, and then 3 with clan symbols for the other 3 samurai forces. Should look great once they're off the painting desk!